We periodically have customers request to speak with some of our past clients about their experiences with us. 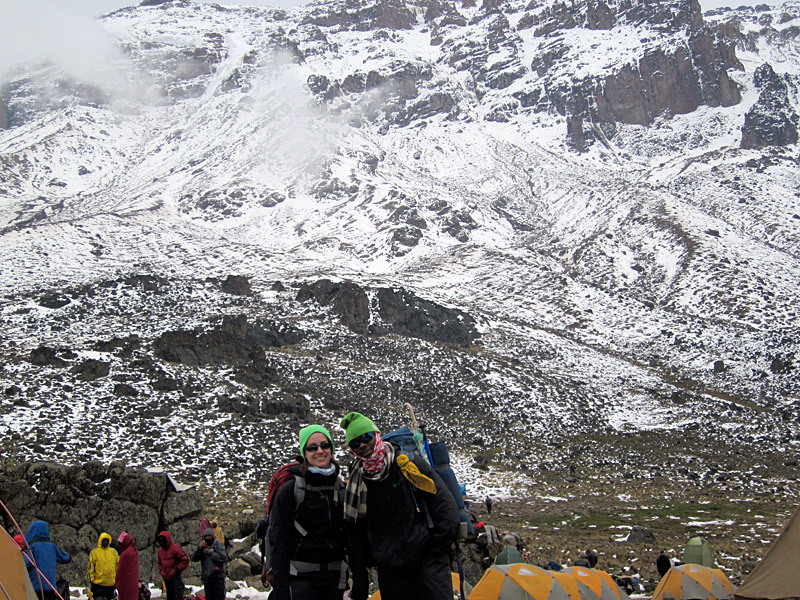 International Mountain Guides' customers are notoriously happy to tell others about their trips. We're happy to provide references as much as possible. 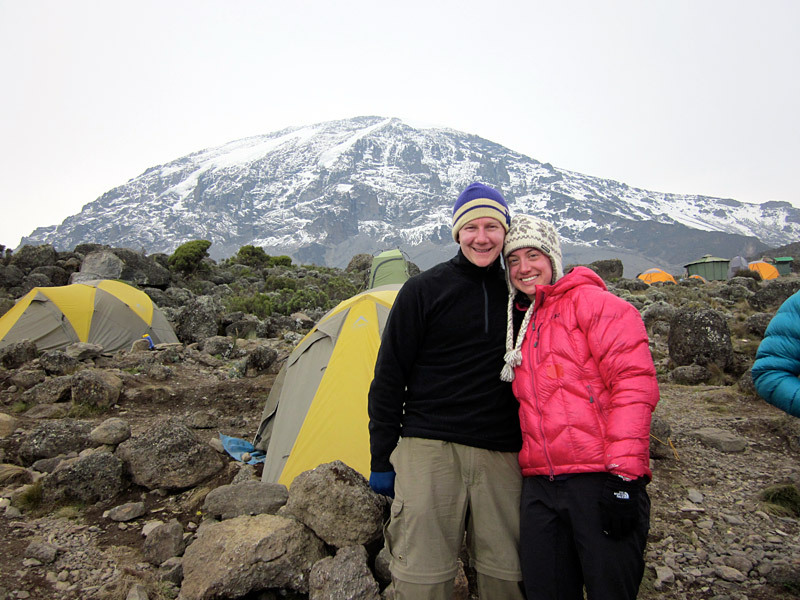 When Kira inquired about joining us for a climb of Kilimanjaro and wanted to chat with one of our Kilimanjaro Veteran's before signing up, she may have gotten more than she asked for. 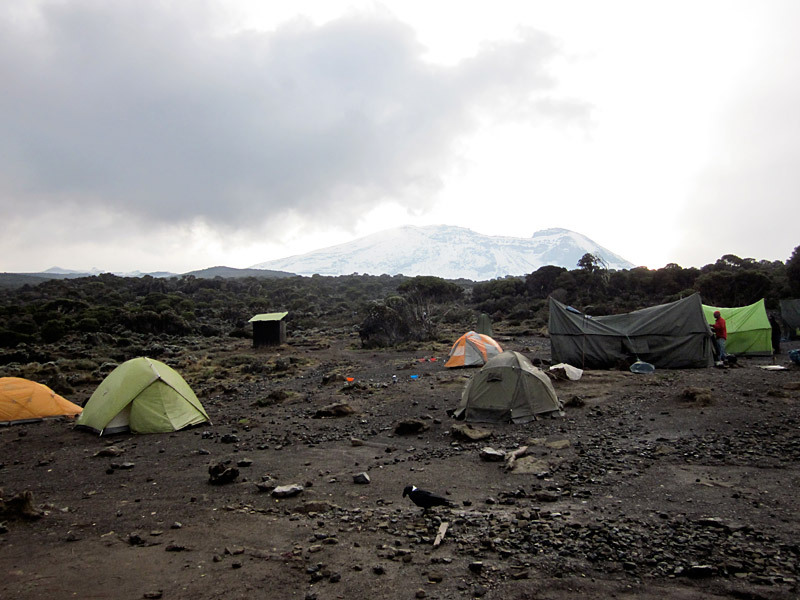 Steph's reference turned into a pretty comprehensive trip report on Kilimanjaro and a bit about Mt. Rainier as well. Enjoy! 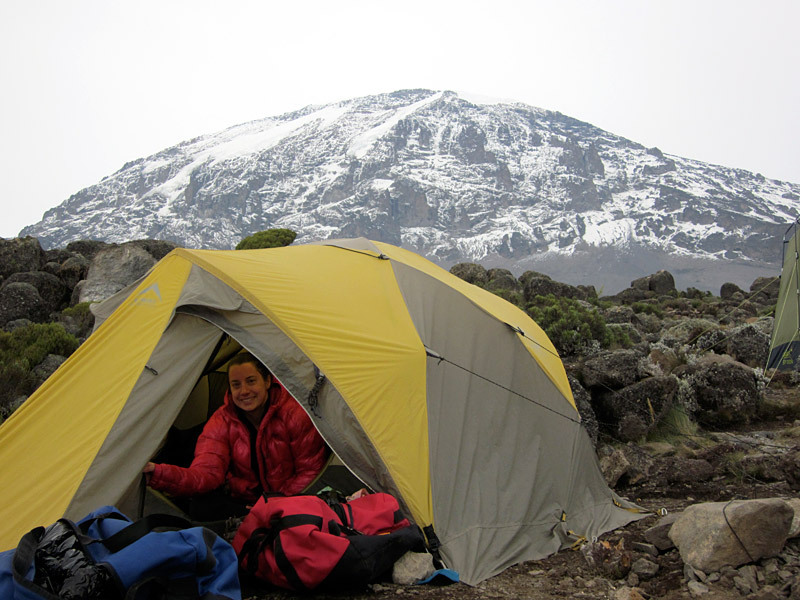 Clarissa gave me your email as a reference for IMG for a Kilimanjaro climb. I know you're on Rainier right now but thought I'd just drop a note. I live in Tanzania and have been shopping around, and it would be great to hear about your experience. 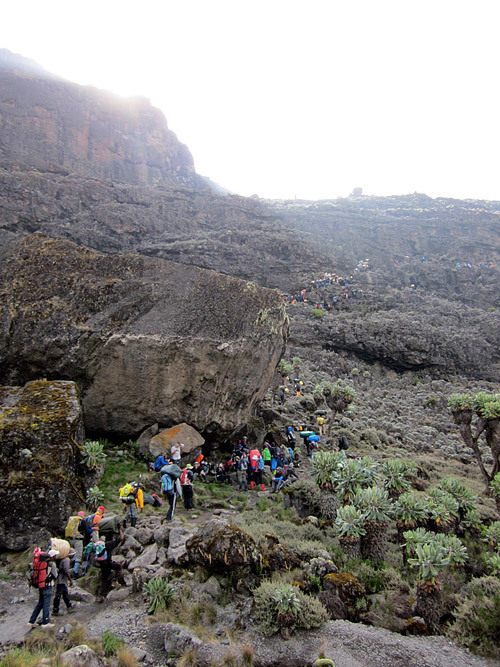 When you were on the climb, how much of the staff (guides/porters) were from IMG versus locally-contracted? For someone new to climbing, how was the food/sleeping/bathroom arrangements? How big was your group and did everyone summit? Assuming you also looked around at different guides, why did you choose IMG? I'm so glad you wrote me and so happy to recommend IMG! 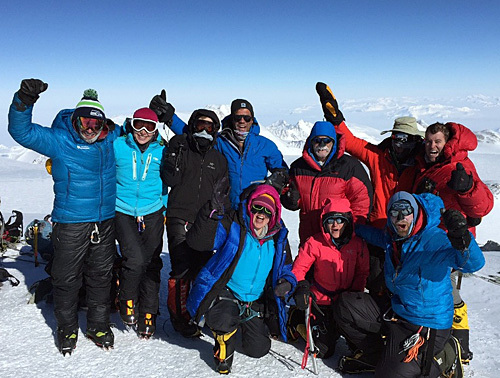 We just had another incredible climb on Rainier with them (our entire team summited and just had a great time). They are an all around fantastic company. 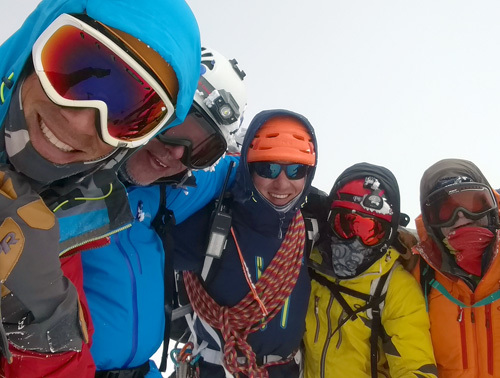 Every one of their guides and staff members I've met, talked or climbed with have been not only super helpful but also genuinely good, down to earth people that I truly enjoyed meeting. It was a lifelong dream of ours to climb Rainier, so I did a lot of shopping around our local guiding companies (there are 3 here that can climb on Rainier). 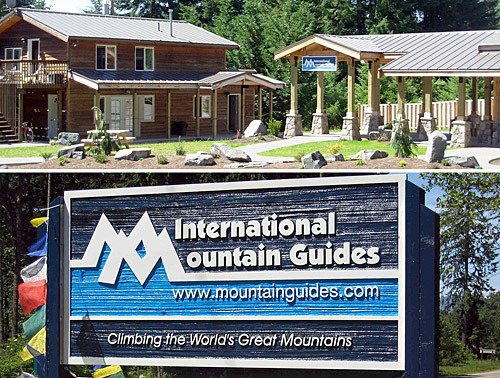 What stands out about IMG to me is that their owners truly care about their climbers and their experiences above all else, and that attitude trickles down through every one of their guides and staff members. They go the extra mile to make your climb enjoyable, safe and rewarding. Other companies seem to be more concerned with turning around climbs and numbers (money). Kind of a quantity vs quality sort of thing. 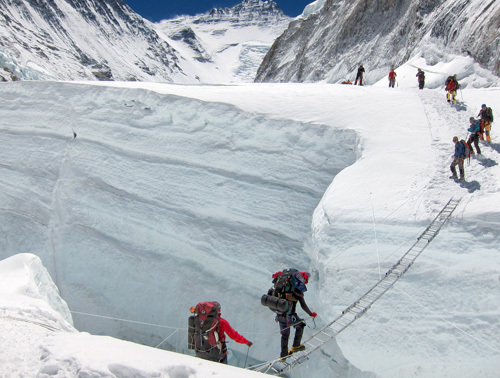 Also, from my experiences through other programs and classes, mountain guides can sometimes have a god complex. Meaning a snobby attitude and they think they are better than everyone, etc. IMG guides are NOT like that. We've now climbed with five different IMG guides, and every one of them have been so kind, knowledgeable, helpful and simply lovely people. They are the best at what they do and put your safety first and your experience at a close second. They do everything they can to make sure the team has a great time and can get as far as possible while still getting down safely. I completely trust them and cannot say enough about how wonderful they are. 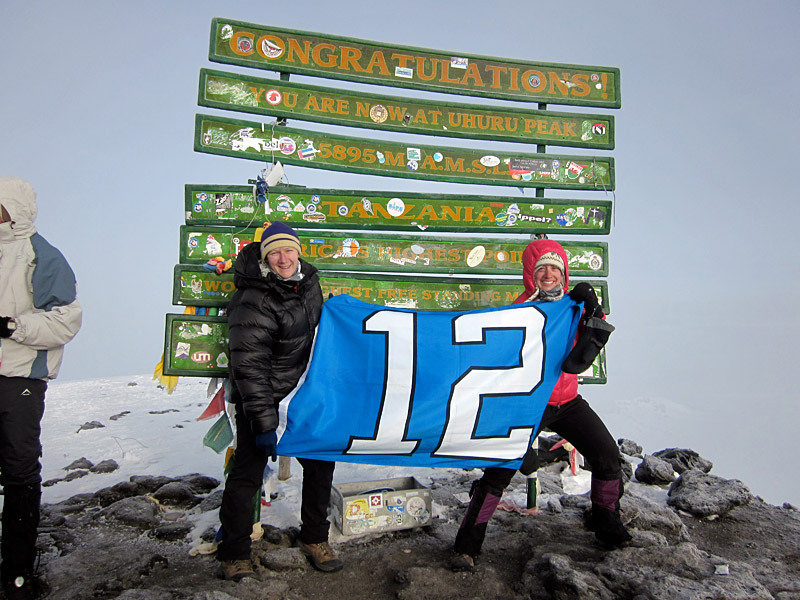 I attended talks with IMG as well as other companies that climb Rainier, and researched all of them pretty extensively. Phil Ershler, one of IMG's owners, did their talk, and everything he had to say just felt right. I've actually emailed with all three of IMG's owners personally and George Dunn, another owner, was there to greet us when we got back to IMG headquarters after our Rainier climb. I'm telling you, they really care about their clients. 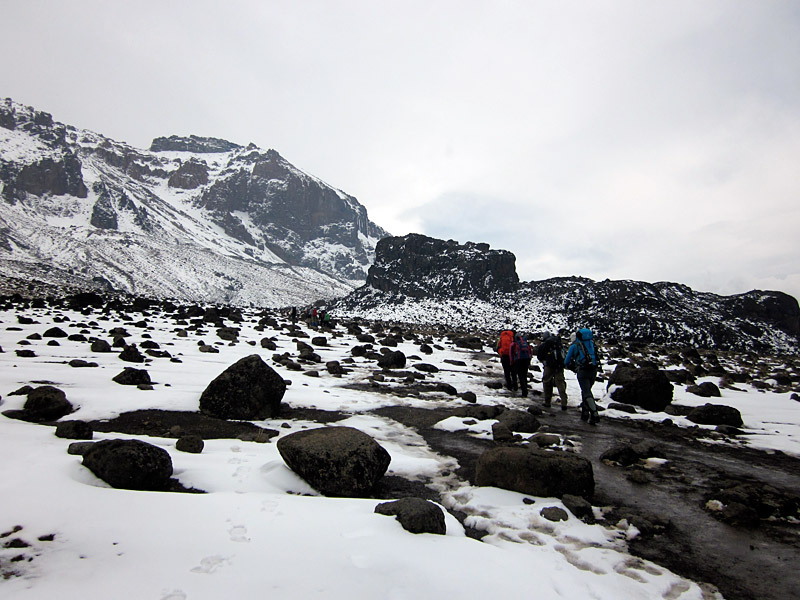 Truly, we chose IMG for Kilimanjaro simply because we were going with them on Rainier and we wanted to have a trial run of sorts. I know that sounds kind of strange, but we both ended up being really glad we had Kili under our belts with IMG. We knew what to expect and were so much more prepared. 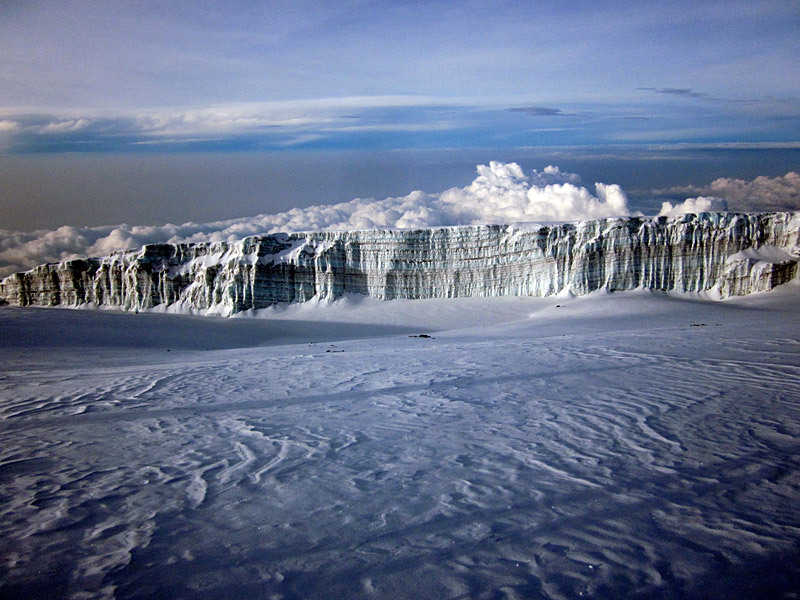 Anyway, I guess that part was by chance because we didn't really research any other companies that climbed Kili. 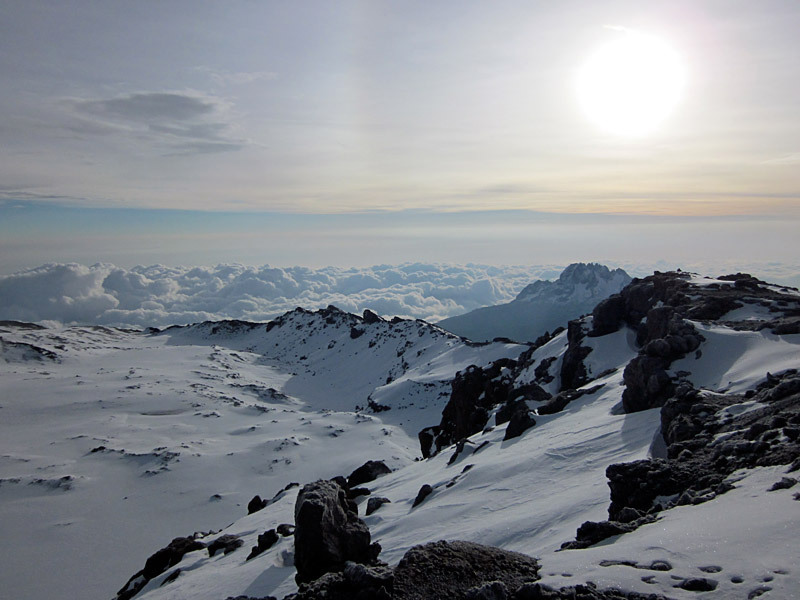 I can't speak to the local companies in Tanzania or other American companies on Kili but I can say I'm 100% happy with our choice in IMG. 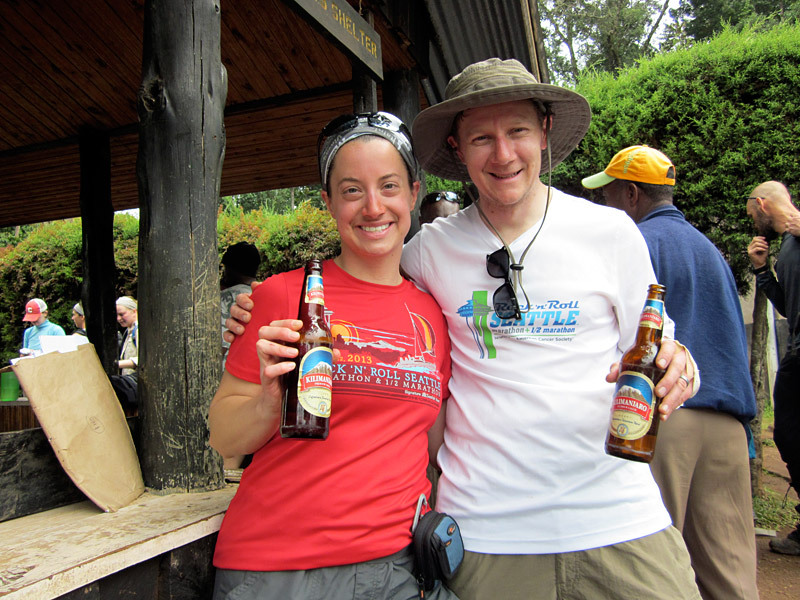 I'm sure you're aware that you have to have African guides along with you on Kili. 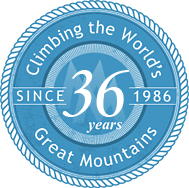 Per park rules, there are strict regulations of climber to guide to porter ratios that you really don't have a choice in. 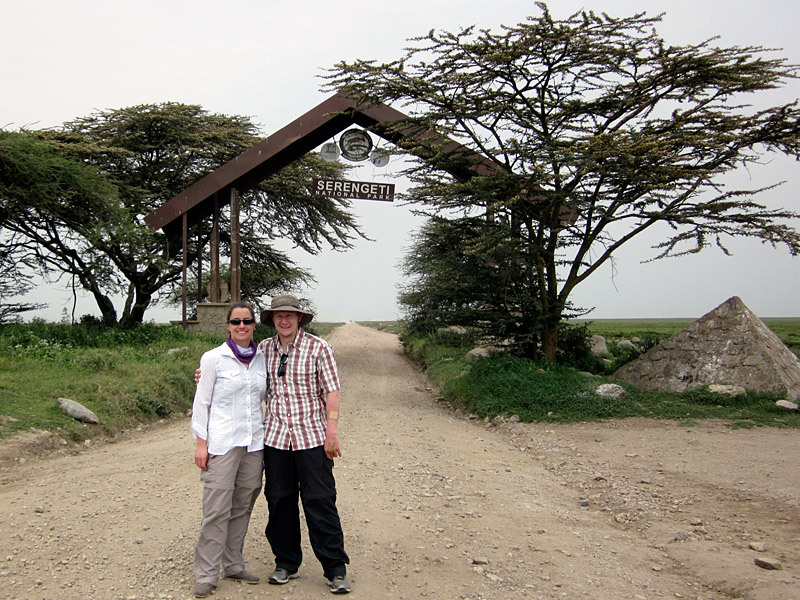 Our group had... Jenni Pfafman, who was our outstanding IMG guide, 3 local African guides, and about 20 porters, all Tanzanian. 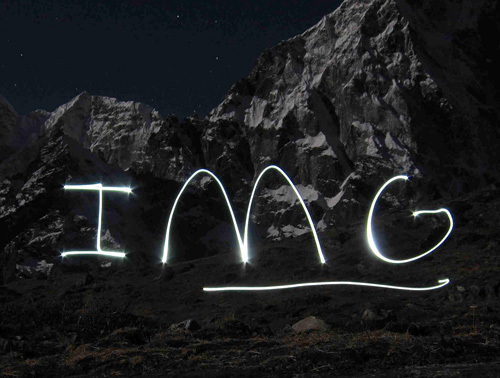 The local guides and staff have worked with IMG for a long time and have a really good relationship with them. 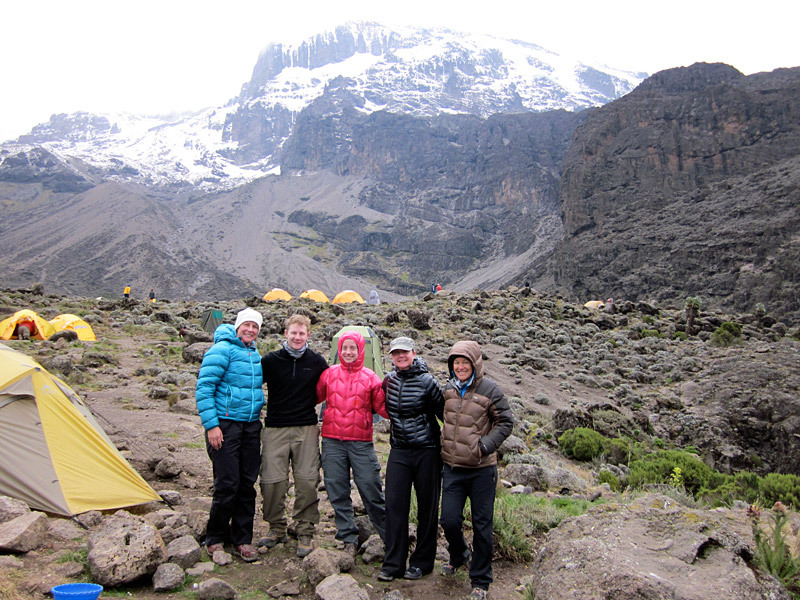 Jenni knew a lot of them and went the extra mile to make them a part of our team (learning conversational Swahili, hanging out with them, including them on talks and plans for the climb, etc). 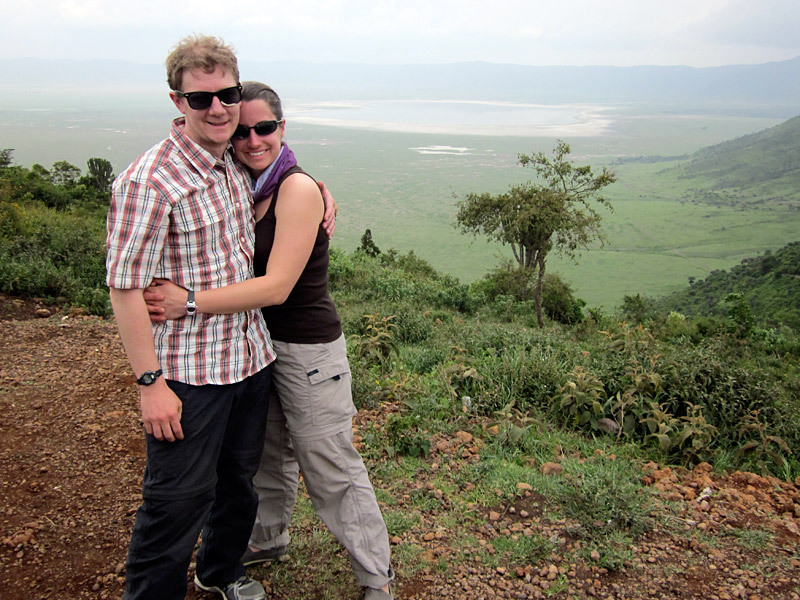 It really felt like we were a strong team unit and not the American clients and guide separated from the local Tanzanian staff if that makes sense. 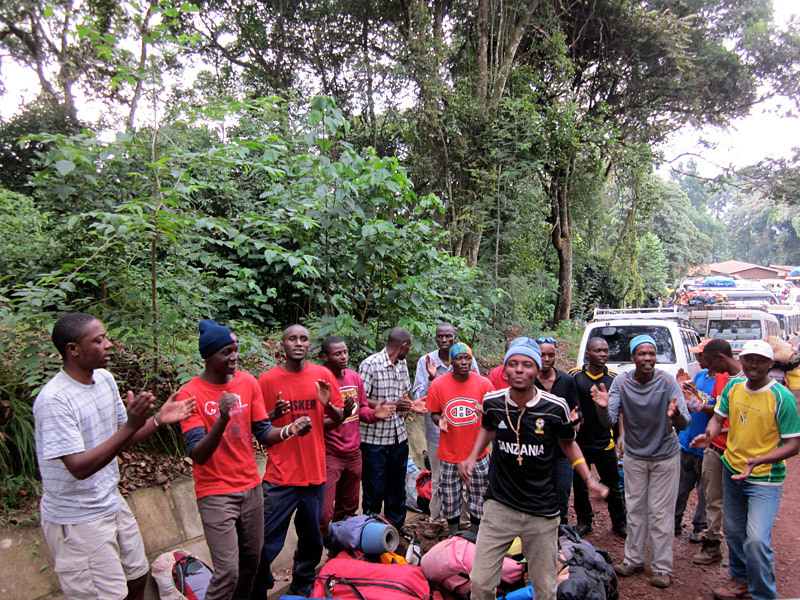 All of our African guides were just phenomenal and it sounds like they regularly team up with IMG. 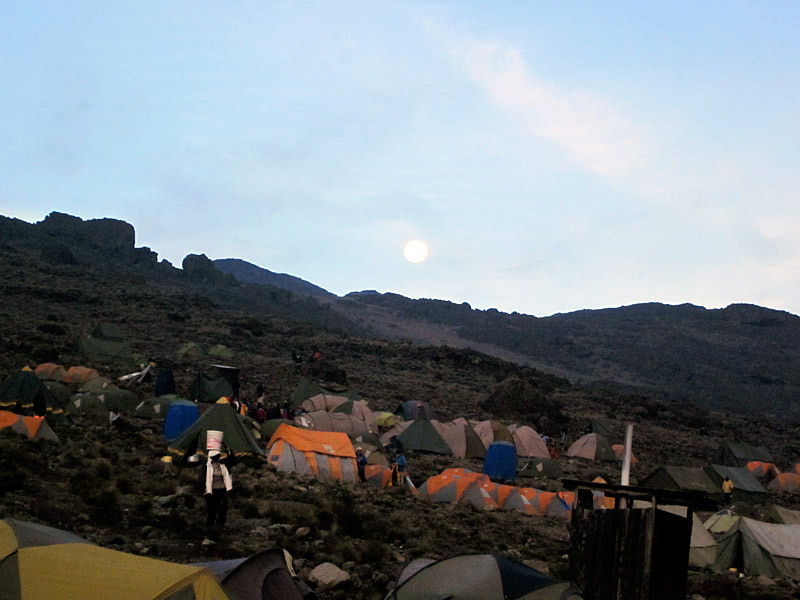 I will also say that IMG had one of the nicest, if not the best camp set-ups of any other group on Kili, and boy are there a lot of groups on that mountain! 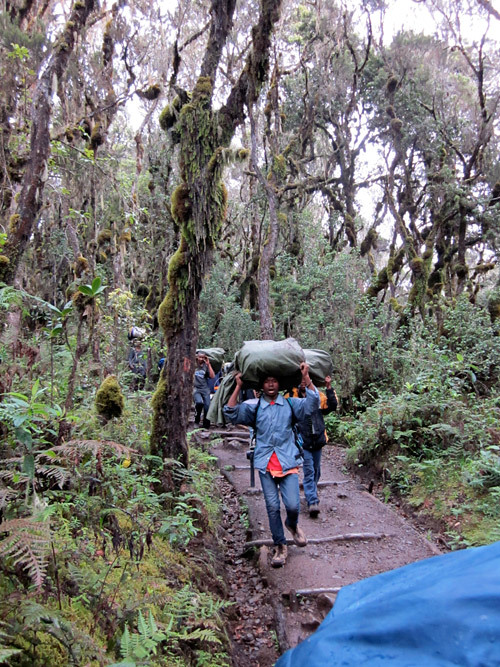 The porters go ahead of you and set up camp each day. 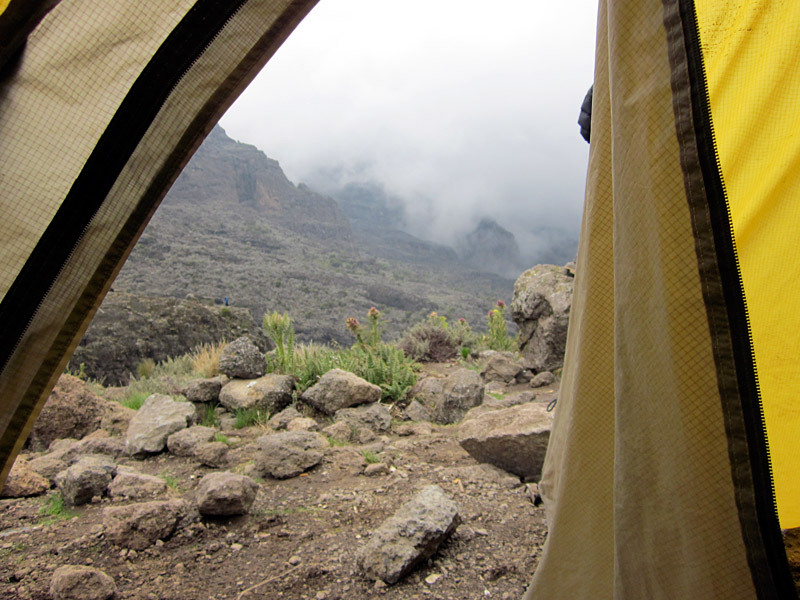 When you get to camp, you have your tent, your bag a porter carried and warm water for washing up right there. Such a lovely sight! 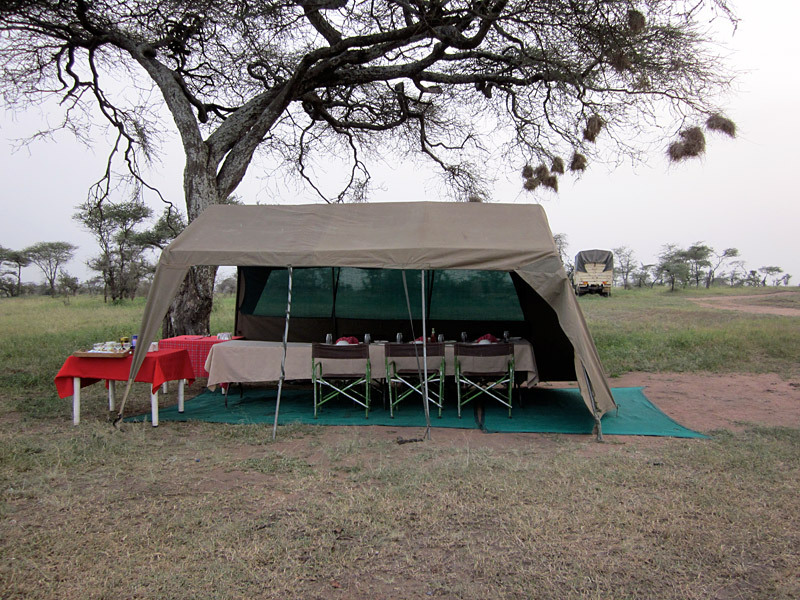 There is also a large dining tent with hot drinks and a snack right away. Then you rest for a bit until dinner. And the food. Wow. 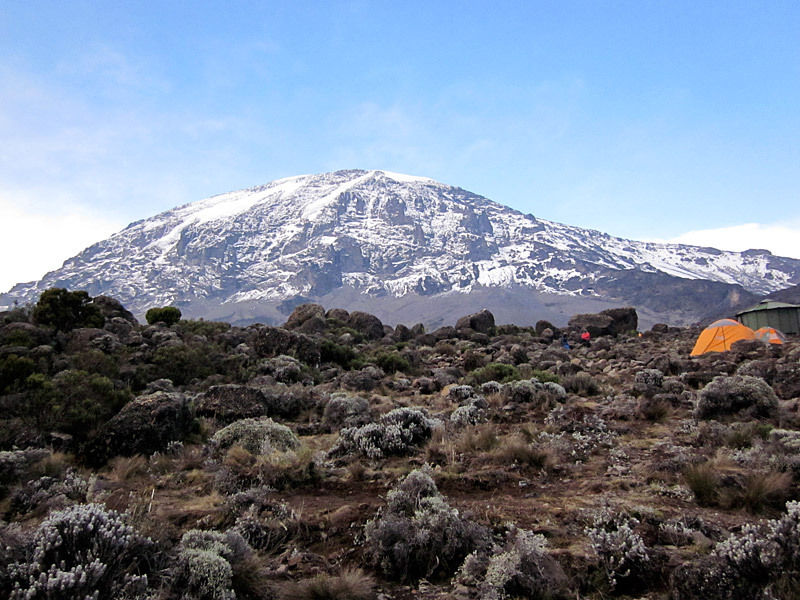 Let me just say that I ate better on Kili than I normally do at home. The food is just incredible. You have a chef and a server for every meal. So much food. Soup every night, and amazing meals ranging from spaghetti with meat sauce to chicken with vegetables. As much hot water as you want. Breakfast was the same. 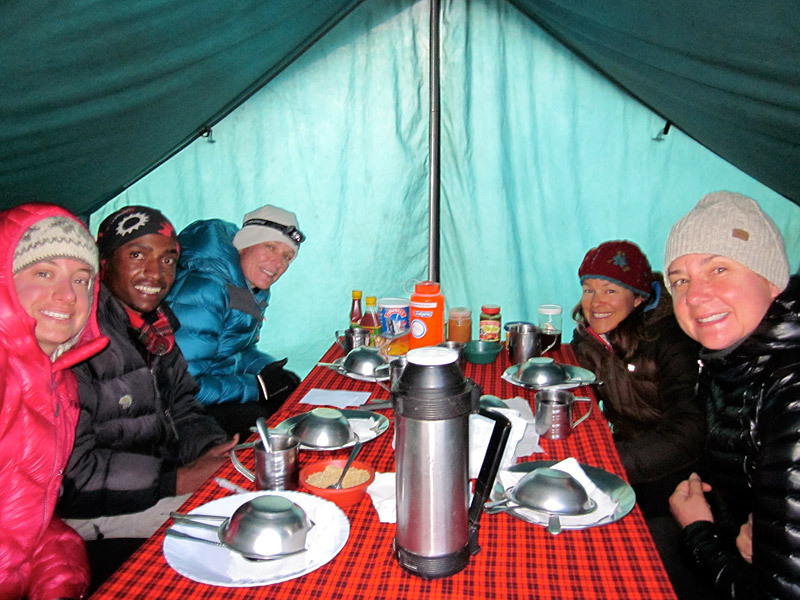 Eggs, pancakes, porridge, toast, fresh fruit--just unbelievable. 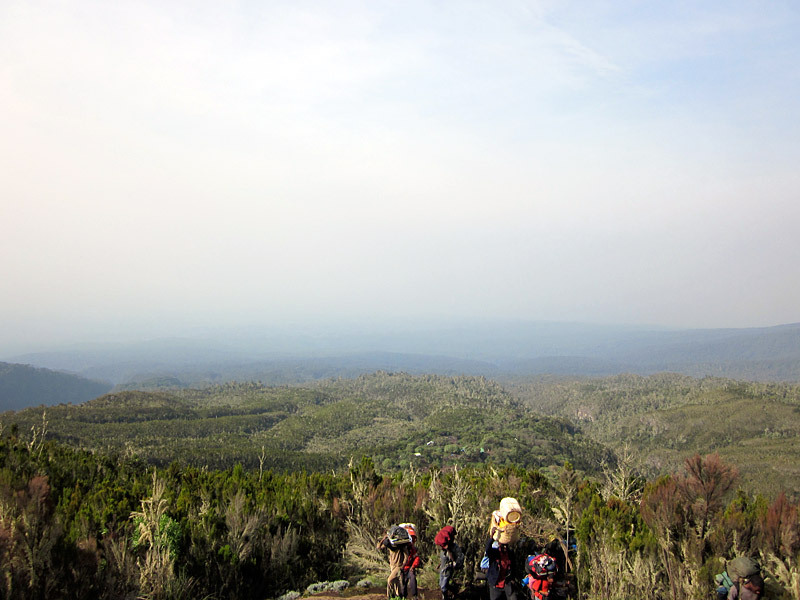 They also give you a packed lunch to take for the day's climb which usually consists of fruit, some kind of cake or bread, a hardboiled egg, a juice box and something like a chicken drumstick. As far as drinking water, we brought a filter with us and the cooks/staff got and filtered our water every day for us. All we did was hand them our bottles. I recommend a filter over treating water with iodine tabs  it tastes much better! Your tent will be quite spacious. I think it is technically a 4-person tent that 2 people will be in (unless you pay the extra to be a single). There is plenty of room. You'll bring your own sleeping pad and bag. 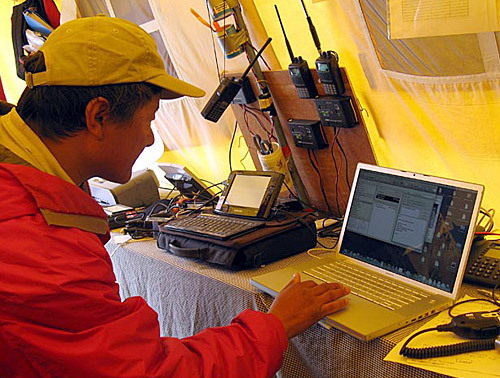 The porters carry and set up all of this so you don't have to worry. They get there ahead of you and clear out a nice flat spot to set up. IMG does a very good job of getting good equipment and maintaining or replacing it regularly. 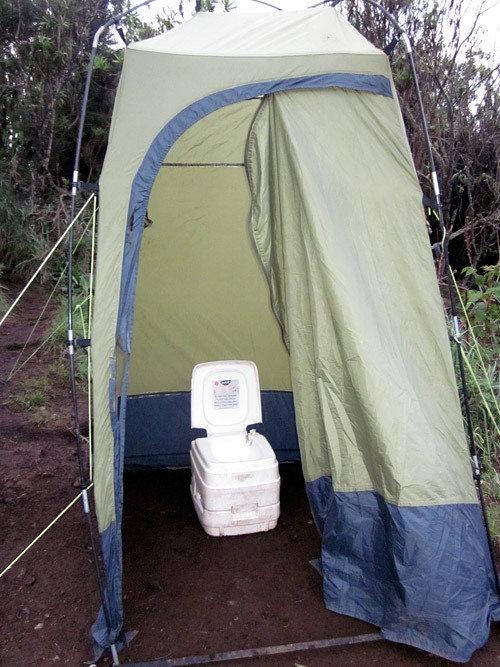 As far as bathrooms go, at camp, you will have a chemical toilet in a tent that is just for the IMG clients. It's basically a port-a-potty in a tent that one of the porters cleans, maintains and carries the entire climb (he gets a big tip...) It is constantly cleaned, emptied and maintained. It is also stocked with toilet paper, although I would recommend bringing your own as well in case theirs gets wet (it rains) and to have something during the day. Most groups do not have this and have to use the general camp bathrooms, which are pretty disgusting. I cannot stress enough how much of a luxury this is. Do NOT worry about the bathroom situation with IMG, it's actually quite easy. During the day on the trail, you just go off the trail a ways behind a rock or something. Just make sure you bring a bag with toilet paper, hand sanitizer and a garbage bag to carry your used paper. There is garbage bag at camp every night where you can get rid of it. It is sad to see how much waste is dumped in the park. 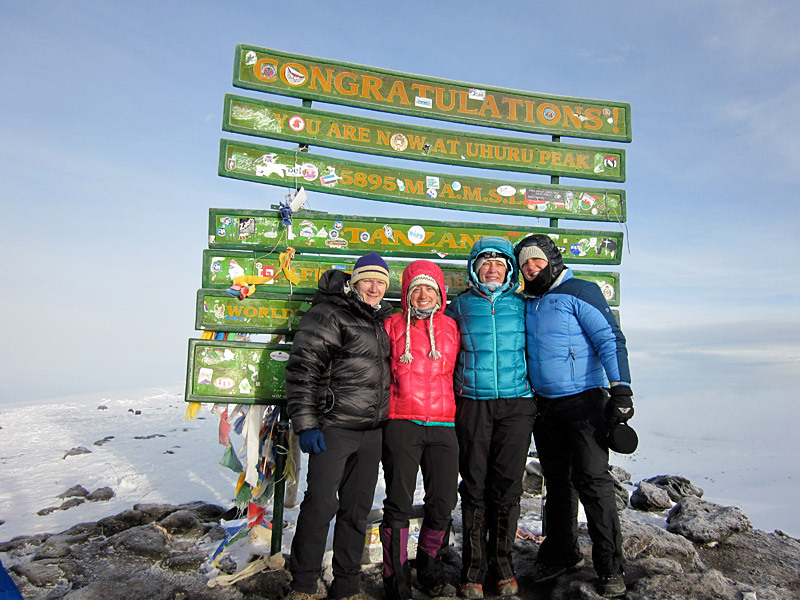 Every member of our Kili group summited and we did so as a team, which made the experience even more special. There were challenging times but we got through it together. One person had some altitude symptoms very near the summit. She got the light-headed, drunk feeling but otherwise was ok. Jenni assessed her closely and got her to the summit, took some pictures and then sent her back down to high camp with Deo, one of our African guides, immediately while the rest of the team got to enjoy the summit for about an hour. That's what I mean about making sure you can have the best experience possible safely. 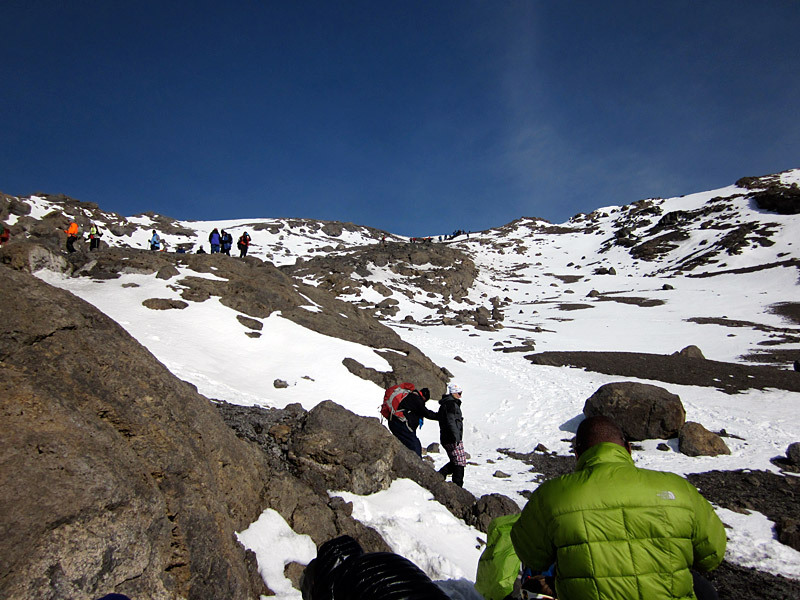 If some members of the group are having problems and have to turn back, there are enough guides so that some people can go back down while the rest of the group continues on. They will closely assess you and check in throughout the entire climb and at each break on summit day. The IMG guides really know their stuff; you will be in good hands. 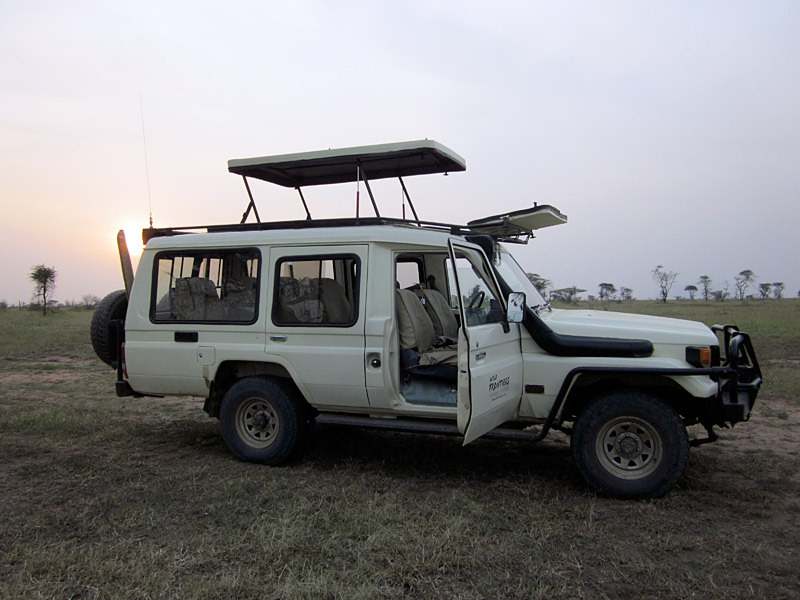 The safari portion of the trip was also incredible, but living in Tanzania, you probably don't need my thoughts on that! 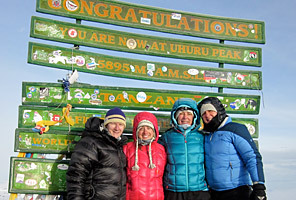 My best advice to you for a successful Kili summit would be to put in the work on training hikes and sign up with IMG. Just do it. They are wonderful and really do go the extra mile to make sure you have the best possible climb. They take care of and think of everything so you don't have to worry. Please don't hesitate to write if you have other questions, I'm happy to help. Enjoy your climb no matter what you decide! Wanted to say thanks to IMG for another incredible climbing experience on Rainier. 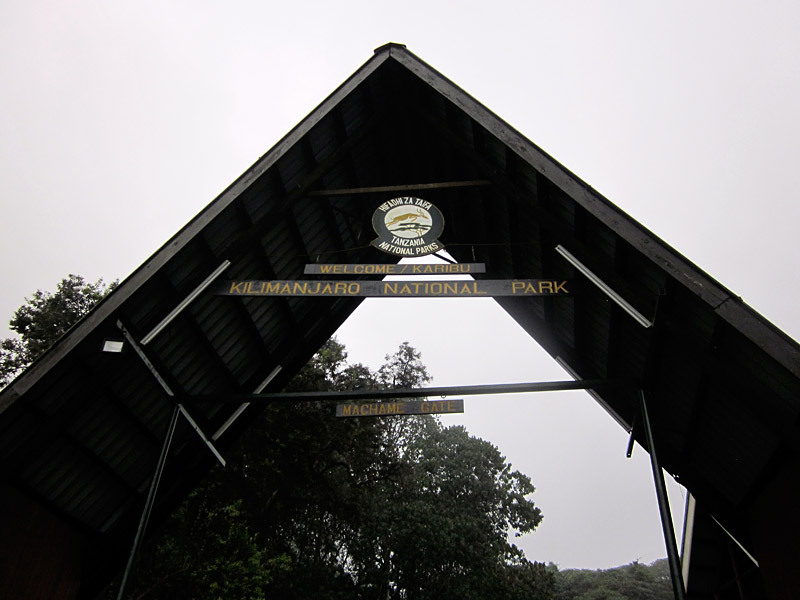 It brought back a lot of wonderful memories from Kili as well. You guys are just awesome. I was able to write with Kira and decided I wanted to share it with you guys as well. Please pass it on. I hope she signs up! Thanks again! P.S. Please also pass on that Mike, Ian, Peter and Rob were all fantastic. Such great guys. Can't say enough how much we enjoyed our time with them up there. They are wonderful guides and we felt super safe and confident in them the whole time.